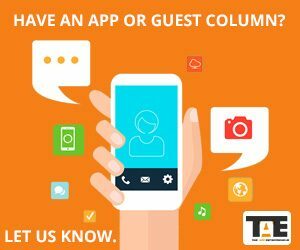 What Is The Best CMMS Application? Hosting is nothing but a solution that helps your website to be viewed globally. There is a bucketful of hosting solutions like Dedicated, VPS, Shared, Reseller, Cloud and more. In the same way, the cloud is the most preferred type of hosting solution in IT industry. Whenever you think of buying hosting or want to upgrade your hosting account, then you might come across with cloud hosting. Being a popular term in hosting industry, it is noticed that most of the users are not aware of the term “Cloud” hosting in details. To overcome this issue, I am going to explain the concept Cloud Computing and its working. Cloud Computing is very simple and easy !! For searching a text file, you browse the folders or directly go to the folder where it is stored. Or while accessing the application or software, you simply type the information and it generates the data without any hassle. In a similar way, cloud computing is the same thing with a slight difference. However, the storage capacity of the cloud is massive and this will not affect your website performance. In addition, you can access the files from anywhere right from home, work, bus or plane using any device. If author permits than anyone can edit, comment and view the files. In short, there is no need to keep the duplicate file or older version of the file stored on one computer. In cloud hosting, you get two options: Public and Private Cloud. In public cloud, the single server holds the data of multiple websites and you can say it is equivalent to shared hosting. But the big difference between the two is that public cloud is highly scalable and the server never goes down, while in shared hosting there is a single point server with limited resources and so that can affect the website uptime when the server goes down. There are various providers available in the market that offer Best Cloud Hosting at an affordable price. As per my suggestion, you can opt for MilesWeb cloud as you get superior features in the cloud at the best price. Whereas in private cloud, the scenario is completely opposite because the server is set up in such a way that it does not share its infrastructure with other websites. In addition, the private cloud is expensive as compared to the public cloud. 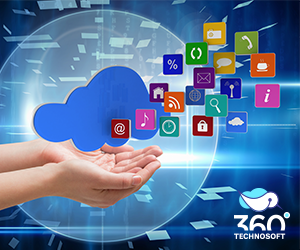 1) Cloud servers offer a superior platform to assist multiple types of IT projects. However, these servers hold a capacity to fulfill your requirement of extensive software development and other business requirements like handling a big data and more. 2) One of the added advantages of the cloud servers is that they are designed to experience the outstanding performance at affordable cost. 3) Cloud servers are strong and that is the reason they are capable of handling the changes in technology. 4) In short, if you are using a cloud server, it is assured that you are using the features of dedicated hosting along with the ability to scale the resources as per your need. 5) If you are looking for speed, scalability, and performance for a large business firm then cloud server is the ideal solution for your business. 6) Cloud server works in an associated environment for fulfilling all the computing requirements. Cloud hosting is booming the market and it is mostly preferred by the large enterprises to enhance their website performance. Generally, small business owners keep cloud hosting as a second option or sometimes don’t even consider it because of its high price. There are multiple advantages of cloud that will help the organization to grow in the future. Moving towards the hybrid or fully cloud-based data storage solutions will help to store billions of data for the people to utilize as per their requirement. Most of the businesses have made an investment in cloud whereas some are still looking for cloud infrastructure to enhance the performance. 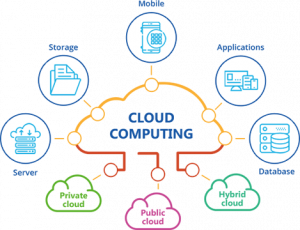 In future, one can surely expect improvisations and simplification in the steps of the cloud that will help to set up the cloud instantly as well as all business to work on cloud infrastructure. If you are looking for Business Hosting then check MilesWeb hosting!! Cloud is booming the current market and it has become a buzz word that attracts the new user as well as existing because of an instant increase in the eCommerce business performance. From the above-mentioned points, you must have got a clear idea about how cloud computing works and what are the advantages of the cloud. In case, you have any question or suggestion then do comment below in the comment box. Is the article interesting? Then do share it with others to explore the details of cloud computing and yes, remember to like the post.